4 Reasons to Make Time for Consignment This Season! I have been so busy lately that shopping - let alone consignment sale shopping - has just not been on my radar. But the one sale I am making time for is the Just Between Friends - Ft. Worth sale. 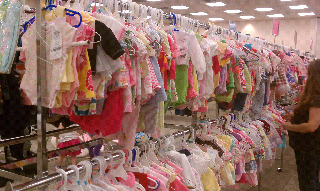 It's Texas' largest consignment and maternity sale held in the Will Rogers' Memorial Center - Amon G. Carter Exhibit Hall. This year's sale will be held Thursday, September 3, 2015 through Saturday, September 13, 2015, so there's plenty of time to schedule a shopping trip (or two)! If you are a first-time parent or grandparent, you can sign up and get a free pass to get in to shop early. 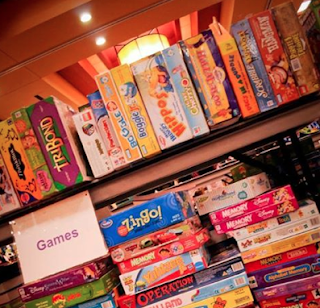 Or you can consign or volunteer, both of which will get you in early as well. But here's the deal - not only will I make time shop consignment, I will also make it a priority to make time to sell consignment. Let me tell you why. #1 - It forces you to take the time to clean out closets, toy bins, under beds and the backseat of the car. It's so easy to get busy and put this off and off and off. But everyone in your house functions better when old, outdated and no longer used items have been taken out of circulation. Keeping things more minimal also helps keep bedrooms and playrooms cleaner since there aren't so many things to be dropped or thrown on the floor. #2 - It's easier to get rid of things when you know you're going to get something in return. I'm not super nostalgic or sentimental, I don't think. I'm not one who cries when she puts away her baby things, necessarily. But there are some times that it's hard for me to just throw things out, namely because I feel it is so wasteful. I know how much it all cost and how much it would take to replace it if I had to. Somehow knowing that there will be some financial return on the other end makes it much more satisfying to remove things from my home. #3 - You make money! For most people, back to school shopping ends up with a few sacks and an empty wallet. When you do your back-to-school shopping at consignment, you can leave with a ton of stuff and MORE money than when you came in. I almost always come out in the positive and more clothes than my kids ever wear in any one season. Since I have three boys stair-stepped down in age, that works out very well for me. #4 - You have the best opportunity to buy name-brand, quality clothing at the best prices. My boys wear their favorite (and some really top of the line) brands - Ralph Lauren, Vans, Gymboree, Tea, Gap, Nike, Converse, and more. The way I can afford that . . . not to mention justify dressing my children in clothes that would cost as much or more as adult clothing . . . is consignment shopping. 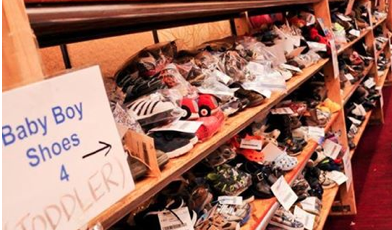 And when you consign and/or volunteer you get to go in early and shop before the regular public so you have access to the VERY best deals possible. This alone makes consigning absolutely worth it. Now, as I promised, you can win a $15 gift card to JBF Ft. Worth. Leave a comment for EACH of the items you do on this list and one of you will win a gift card to get you started on your Fall 2015 consignment shopping. - Winner must pick up the gift card at the Ft. Worth JBF Fall Sale at the time of the shopping trip. - We will provide the winner with exact details once a winner is selected. - The winner may not be another JBF blogger and you can only win once per sale. - Giveaway will be completed and winner prorated by AUGUST 24, 2015. 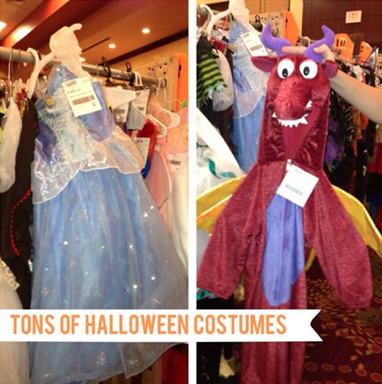 This post is being sponsored by JBF Ft. Worth and will receive credit and access to early shopping in return for this post.